SALUTE. & CONGRATS! Marlon James!!!! …James, who said he had been inspired to become a writer by his father, said he had decided to give up writing after one of his books was rejected 70 times, but eventually it was published and he was able to put the voices he heard in Jamaica into his work. 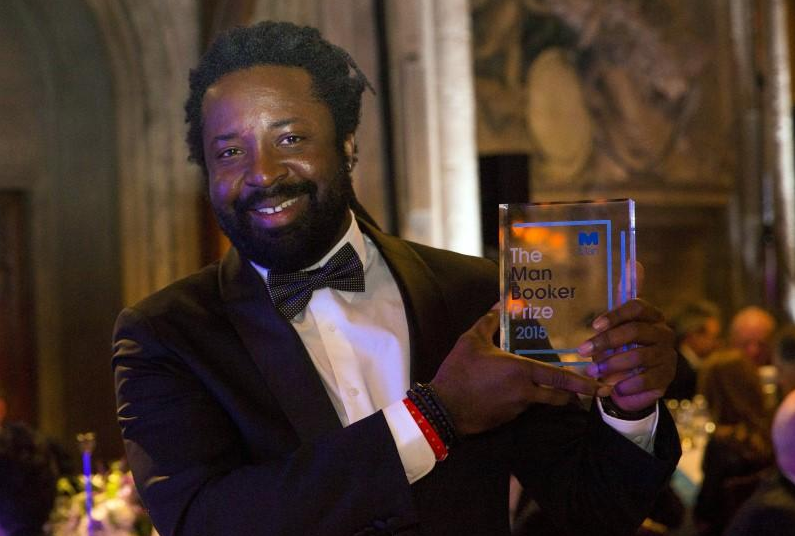 Marlon James became the first Jamaican to win the Man Booker fiction prize on Tuesday for “A Brief History of Seven Killings”, inspired by an attempt to kill reggae star Bob Marley, and said he hoped more Caribbean writers will follow, Reuters reports. “Jamaica has a really really rich literary tradition, it is kind of surreal being the first and I hope I’m not the last and I don’t think I will be,” James, 44, said after winning the award.